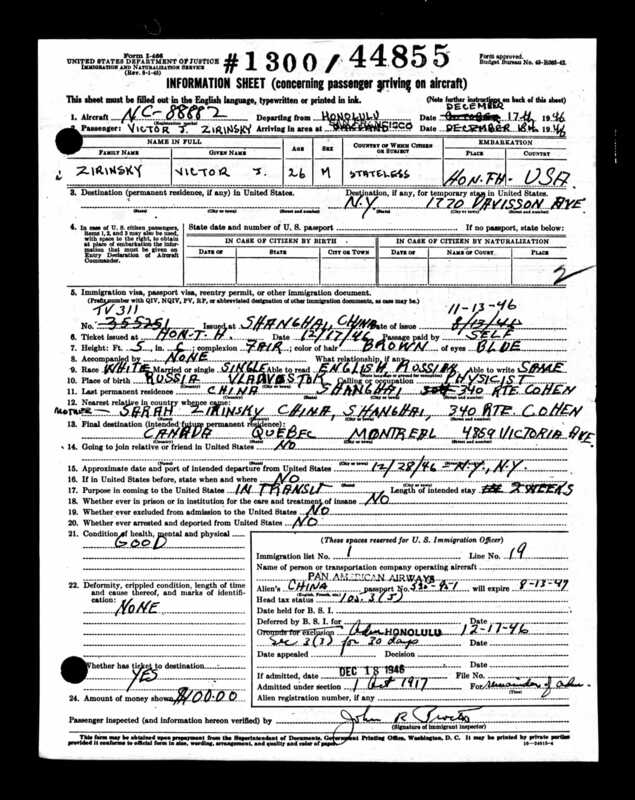 Father’s Name Ioskov (Joseph) Radomishelsky? 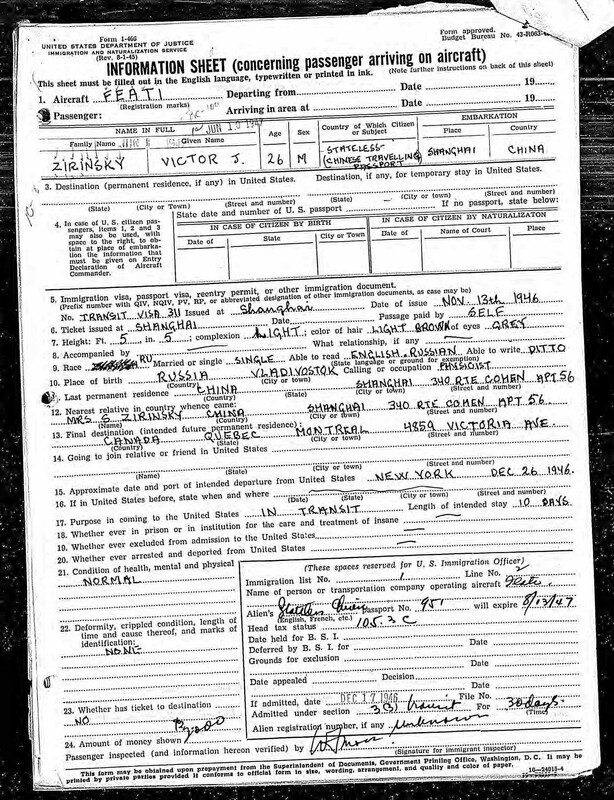 Other Family Data Brother: Gershko Radomishelsky (aka Gregory Leo Radom) (b. April 15, 1893, Stepantsi, Kiev province). Children: Judy Zirinsky Citrin (b. August 4, 1918, Vladivostok; d. March 14, 2004, Berkeley, CA) & Victor J. Zirinsky (b. October 23, 1920, Vladivostok; d. December 1994, London). 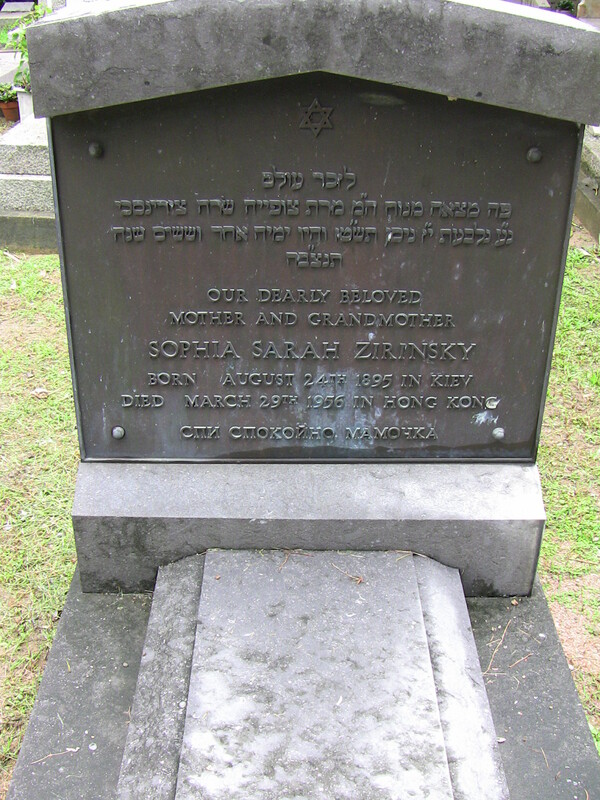 Grandchildren: Jacob Zirinsky (Sydney), two other Zirinsky grandchildren, and three Citrin grandchildren. 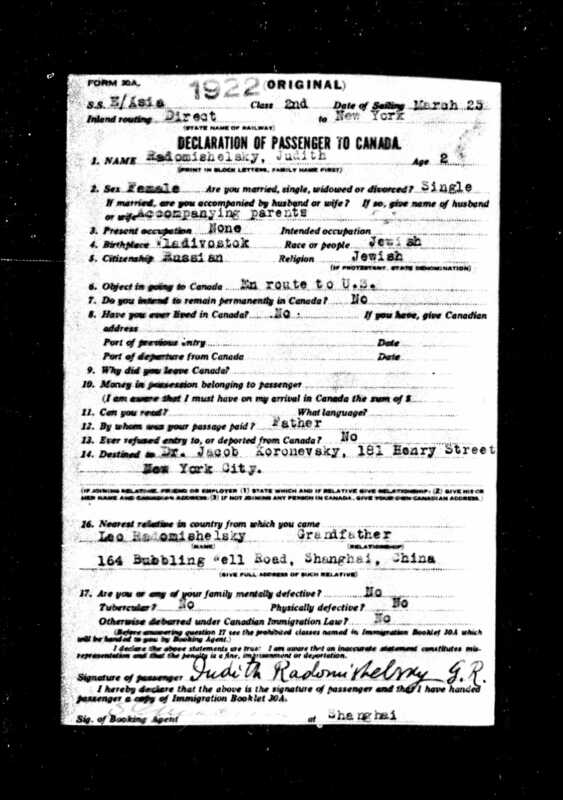 Historical She and Jacob were married in 1917 in Vladivostok, Russia.